Trail Mix is one of my favorite things to eat when I'm on vacation. It's good to eat in lots of different situations. My husband and I love to munch on it while we are driving in the car during our long road trips. And we always bring some to eat when we get out of the car to go exploring. Trail mix is really easy to make. The hardest thing about this recipe is tracking down all the ingredients. I feel like every ingredient is located on a different aisle in the store. **Consider buying unsalted peanuts. There will be plenty of salt in the mixed nuts to make up for the missing peanut salt. *I like to use mini M&M's because they seem to add the right amount of sweetness. However, regular size ones work just fine. For pricing purposes I've made a list of how much each of these ingredients costs. This is based on the regular price at my local HEB Grocery store. Prices may differ where you shop. All these things add up, but the price per ounce is only $0.28. Compare that to an 8 oz bag of store bought trail mix that costs a whopping $3.98 - or $0.49 per ounce. 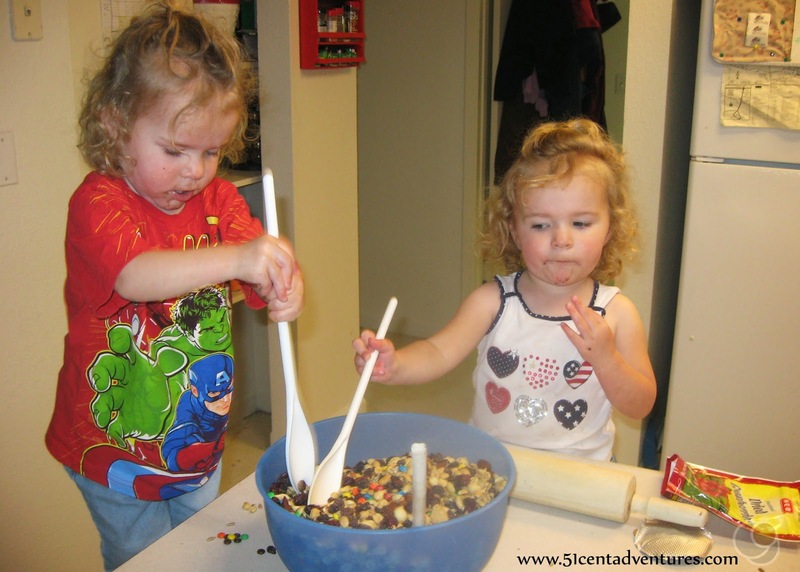 Making your own trail mix is a great way to save money. Spending $30.00 on a snack food is something that I reserve just for our annual road trip vacations. Eating the trail mix helps make the road trips that much more special. P.S. This will probably be the only recipe I ever post on this blog. Food is not my passion. However, if you are interested in more camping food ideas (and recipes in general) you should check out The Dirty Dish Club. My friends Audrey and Noel will be doing a whole Camp Kitchen Series this summer. Their first post is Camp Kitchen 101. It is full tips for how to eat well when you are camping. Thanks for the shout out! Sometimes it's crazy to think how much some prepackaged foods actually cost when you stop to think about it. 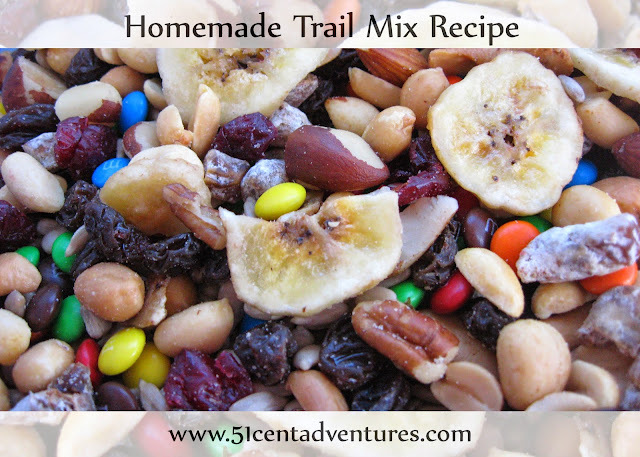 We're fans of making our own trail mix too.